An oracle concerning Nineveh. The book of the vision of Nahum of Elkosh. A jealous and avenging God is the LORD, the LORD is avenging and wrathful; the LORD takes vengeance on his adversaries and rages against his enemies. The LORD is slow to anger but great in power, and the LORD will by no means clear the guilty. 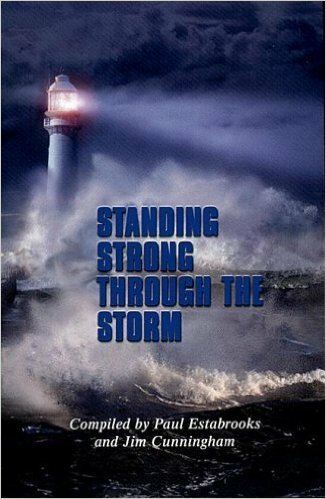 His way is in whirlwind and storm, and the clouds are the dust of his feet. He rebukes the sea and makes it dry, and he dries up all the rivers; Bashan and Carmel wither, and the bloom of Lebanon fades. The mountains quake before him, and the hills melt; the earth heaves before him, the world and all who live in it. Who can stand before his indignation? Who can endure the heat of his anger? His wrath is poured out like fire, and by him the rocks are broken in pieces. 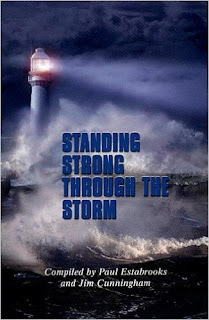 The LORD is good, a stronghold in a day of trouble; he protects those who take refuge in him, even in a rushing flood. He will make a full end of his adversaries, and will pursue his enemies into darkness. Why do you plot against the LORD? He will make an end; no adversary will rise up twice. Like thorns they are entangled, like drunkards they are drunk; they are consumed like dry straw. From you one has gone out who plots evil against the LORD, one who counsels wickedness. Thus says the LORD, "Though they are at full strength and many, they will be cut off and pass away. Though I have afflicted you, I will afflict you no more. And now I will break off his yoke from you and snap the bonds that bind you." Therefore prepare your minds for action; discipline yourselves; set all your hope on the grace that Jesus Christ will bring you when he is revealed. Like obedient children, do not be conformed to the desires that you formerly had in ignorance. Instead, as he who called you is holy, be holy yourselves in all your conduct; for it is written, "You shall be holy, for I am holy." If you invoke as Father the one who judges all people impartially according to their deeds, live in reverent fear during the time of your exile. You know that you were ransomed from the futile ways inherited from your ancestors, not with perishable things like silver or gold, but with the precious blood of Christ, like that of a lamb without defect or blemish. He was destined before the foundation of the world, but was revealed at the end of the ages for your sake. Through him you have come to trust in God, who raised him from the dead and gave him glory, so that your faith and hope are set on God. Now that you have purified your souls by your obedience to the truth so that you have genuine mutual love, love one another deeply from the heart. You have been born anew, not of perishable but of imperishable seed, through the living and enduring word of God. For "All flesh is like grass and all its glory like the flower of grass. The grass withers, and the flower falls, but the word of the Lord endures forever." That word is the good news that was announced to you. Then little children were being brought to him in order that he might lay his hands on them and pray. The disciples spoke sternly to those who brought them; but Jesus said, "Let the little children come to me, and do not stop them; for it is to such as these that the kingdom of heaven belongs." And he laid his hands on them and went on his way. Then someone came to him and said, "Teacher, what good deed must I do to have eternal life?" And he said to him, "Why do you ask me about what is good? There is only one who is good. If you wish to enter into life, keep the commandments." He said to him, "Which ones?" And Jesus said, "You shall not murder; You shall not commit adultery; You shall not steal; You shall not bear false witness; Honor your father and mother; also, You shall love your neighbor as yourself." The young man said to him, "I have kept all these; what do I still lack?" Jesus said to him, "If you wish to be perfect, go, sell your possessions, and give the money to the poor, and you will have treasure in heaven; then come, follow me." When the young man heard this word, he went away grieving, for he had many possessions. 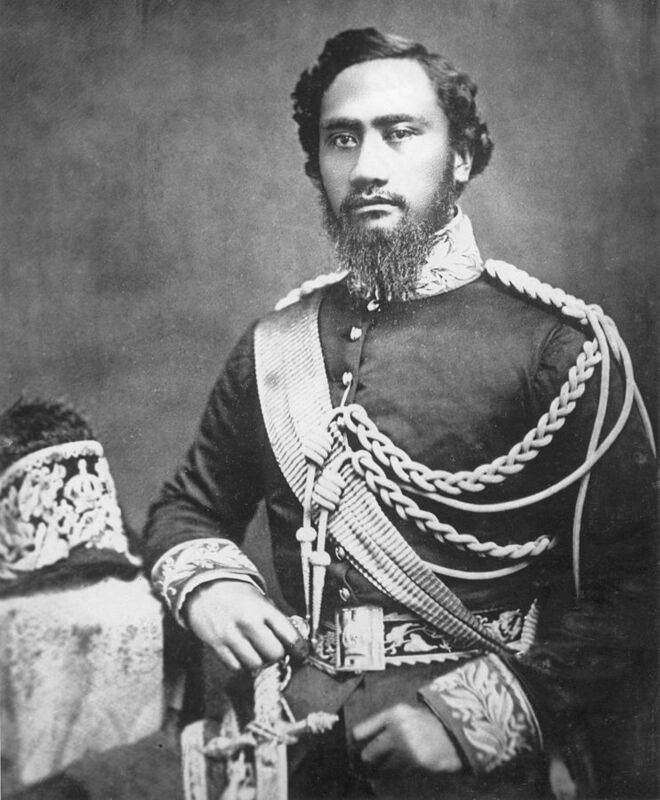 Today the Anglican church remembers Kamehameha and Emma, King and Queen of Hawaii, 1864, 1885. The Hawaiian Islands were first evangelized by sternly Calvinistic Congregationalists and by Roman Catholics. Neither group had much respect for the other or for the native Hawaiian culture and traditions. King Kamehameha IV, who was crowned in 1854, and his wife, Queen Emma, actively sought a branch of Christianity that was all-embracing, reconciliatory, and accepting of Hawaiian culture, yet orthodox and traditional. They found such in Anglicanism. Queen Victoria served as godmother to their son. Under royal patronage Thomas N. Staley became Hawaii's first bishop, ground was broken for St. Andrew's Cathedral in Honolulu, The Book of Common Prayer was translated into Hawaiian, the Queen's Hospital was founded, and several schools were established in the islands with Anglican clergy as tutors. Kamehameha was only twenty-nine when he died. 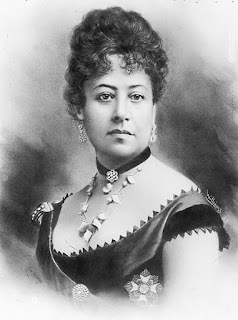 Queen Emma lived on for many years and became a symbol of dignity and Christian piety to the people of Hawaii. The Archbishop of Canterbury described her as one of the most saintly souls he had ever met. We thank you for the witness of Kamehameha and Emma and for their work to build up your church. Amen. O Sovereign God, who raised up Kamehameha and Emma to be rulers in Hawaii, and did inspire and enable them to be diligent in good works for the welfare of their people and the good of your Church: Receive our thanks for their witness to the Gospel; and grant that we, with them, may attain to the crown of glory that never fades away; through Jesus Christ our Savior and Redeemer, who with you and the Holy Ghost lives and reigns, one God, for ever and ever. Amen. Almighty God, who alone gave us the breath of life, and alone can keep our hearts filled with your holy desires: I ask you, trusting in your infinite compassion, to sanctify my thoughts and endeavors; that I may neither begin an action without a pure intention nor continue it without your blessing. And grant that, having the eyes of my mind opened to behold things invisible and unseen, my heart may be inspired by your wisdom, and my work upheld by your strength, and in the end, that I may be accepted by you as your faithful servant; through Jesus Christ our Savior. 1 Chronicles 16:8 (NIV) Give praise to the Lord, proclaim his name; make known among the nations what he has done. "But I am afraid that just as Eve was deceived by the serpent’s cunning, your minds may somehow be led astray from your sincere and pure devotion to Christ." It is in the human mind that we can commit some horrible sins. We can reach into the past through our memories, and we can reach into the future through our imaginations. And often when the devil wants to tempt us, he will get us to simply think about something. “You don’t have to do it,” he’ll whisper. “Just think about it. That’s all. It doesn’t have to go any further than this.” That’s how Eve was hit: Eve, check it out. Have you ever seen a piece of fruit like this? Satan attacked Eve’s mind. The apostle Paul wrote, “But I am afraid that just as Eve was deceived by the serpent’s cunning, your minds may somehow be led astray from your sincere and pure devotion to Christ” (2 Corinthians 11:3). Why do we get tempted in our minds? Because it is command central. It is here that we reason. It is here that we contemplate. It is here that we even fantasize. It is here that we dream. 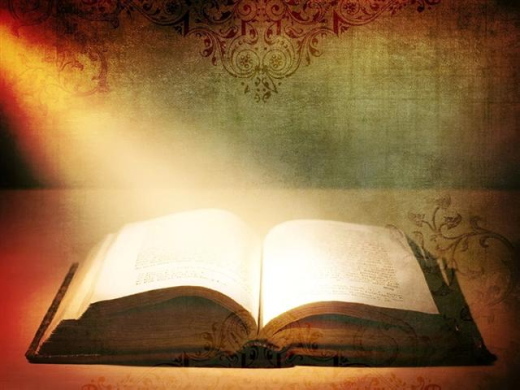 The Bible says, “The weapons we fight with are not the weapons of the world. On the contrary, they have divine power to demolish strongholds. We demolish arguments and every pretension that sets itself up against the knowledge of God, and we take captive every thought to make it obedient to Christ” (2 Corinthians 10:4–5). First you think about it. Then it transfers into your actions. After a while, thinking about it isn’t enough. After a while, fantasizing about it isn’t enough. You want to take it to the next level. So you start flirting. You start touching. You start tasting of it. You start playing with it. And the next thing you know, you are caught up in it. The devil is subtle. He wants to get you to dabble. Stop listening to him. He is a liar. The devil wants you to think, dabble, and act on the sinful thoughts in your mind. Un Dia a la Vez - ¿Compromiso o costumbre? Todas las sendas del Señor son amor y verdad para quienes cumplen los preceptos de su pacto. Si queremos tener éxito en las cosas que realizamos, ya sea en el ámbito espiritual o en el laboral, no debemos hacer nada por costumbre. ¡Qué bueno es poder tener un compromiso y saber que lo que hacemos es como para Dios y no para los hombres! La mediocridad en las cosas que realizamos dejará una mala impresión de nuestra persona. Además, si es para los negocios de Dios, ¿te figuras la imagen que dejamos cuando hacemos las cosas por costumbre? De inmediato se va a notar nuestra falta de compromiso y de interés. En realidad, Dios busca gente comprometida para bendecir. Las cosas hechas por costumbre también te pueden llegar a cansar y te pueden llevar a abandonar lo que te ha dado Dios. Tengamos presente que las oportunidades que nos ofrecen las debemos valorar al máximo y disfrutarlas mientras las tengamos. Pidámosle a Dios que nos guíe a fin de ser personas comprometidas y de una sola palabra. Esto lo debemos aplicar hasta en nuestra relación de pareja. No permitamos que nuestros matrimonios caigan en la rutina. Me parece crudo y frío estar con alguien por estar acostumbrados a esa persona, cuando sé que ese no es el propósito original de Dios. 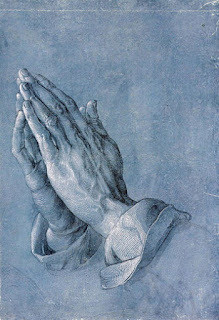 Si este fuera tu caso, busca ayuda profesional y pídele a Dios que te dé los recursos para reconquistar y amar a tu cónyuge, y para hacer nuevos compromisos de fidelidad, confianza y amor. Pastor Samuel Lamb from southern China celebrated his 87th birthday in October, 2011. A quarter of his life was spent imprisoned for his faith. He still preaches several times on Sunday in his large house church and most week nights in Bible studies. His brilliant smile shines from a slight body suffering chronic disability resulting from 15 years confinement in a coal mine. “God gives me the strength I need,” he says. He has never left China, fearing that if he traveled, the authorities would not let him return. Lamb credits God for the faith to accept what has happened in his life. It has deepened his ministry. Lamb believes that sometimes God is more glorified through sickness and poverty than through health and wealth. Christians travel thousands of miles to discuss house church ministry with Pastor Lamb and visitors from around the world seek out his house church in Guangzhou, China, which gathers 3,000 members each week. Though the two are related, persecution in other parts of the world has not necessarily always brought church growth. North Africa is an example. But the Bible, especially in the book of Acts, is clear that church growth will likely bring persecution. Each time the gospel made advances in Acts, persecution would break out. And in Acts 8:4, the persecuted and scattered believers went everywhere preaching the word. RESPONSE: Today I will accept the principle that sometimes God is more glorified through sickness and poverty than through health and wealth. PRAYER: Thank You Lord that You use all situations to grow Your church. Help me to be an active and eager participant. Girlfriends in God - I Have a Hope! I waited patiently for the Lord; He turned to me and heard my cry. He lifted me out of the slimy pit, out of the mud and mire; He set my feet on a rock and gave me a firm place to stand. He put a new song in my mouth, a hymn of praise to our God. In the 1950s, Curt Richter, a Harvard graduate and Johns Hopkins scientist, did a series of experiments that tested how long rats could swim in high-sided buckets of circulating water before drowning. Dr. Richter found that, under normal conditions, a rat could swim for an average of 15 minutes before giving up and sinking. However, if he rescued the rats just before drowning, dried them off, and let them rest briefly before putting them back into the same buckets of circulating water, the rats could swim an average of 60 hours. Conclusion: If a rat were saved – even temporarily, it would survive 240 times longer than if it were not saved at all. How could these rats swim so much longer during the second session, especially after swimming as long as possible to stay alive during the first session? Dr. Richter concluded that the rats were able to swim longer because they were given hope. Hope can stand beside grief and give us the strength to go on. Hope can deflect the attacks of the enemy, even when we are wounded and weary of the battle. Have you ever been so tired, utterly discouraged and in so much pain that you could hardly breathe? That is exactly where we find King David, the author of Psalm 40. David was a shepherd boy, a giant killer, a general and king, a singer, a husband and father, and a very religious man. David had it all – success, money, power and the favor of God. 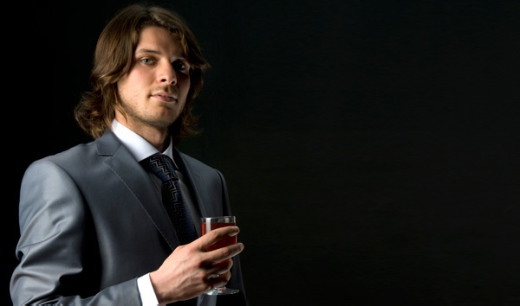 Men like that are not supposed to commit adultery – right? But David did commit adultery with Bathsheba. And that is not all he did! David then sent Bathsheba’s husband to the front lines of war, knowing he would be killed. David moved in with Bathsheba – but he knew he was swimming in sin. Did you notice the powerful truth that God turned to David? I don’t think David had the energy to turn to God. He had been swimming in his sin far too long. But like a father whose heart and ears are tuned to the cries of His children - even when they have made mistakes – even when they are broken and their lives are a mess, when the children of God cry out for God, He hears and comes running. If God heard the cry of David, He will hear yours. He knows everything you have done and loves you still. He can see every corner of your pain-filled heart and sees every tear you have cried. You can count on God to come through. He is your hope. I have a hope that will never fade away. It’s alive in me, living day-to-day. I have a hope, and my hope has a name – Jesus Christ. No matter where you are today, lift up your head, open your heart, and listen for the voice of the One who knows you best and loves you most. He is with you and He will deliver you. Lord, it seems as if my world has collapsed, hurling me into a deep, dark pit. I come to You in complete surrender. I am desperate for You, helpless and afraid. Please lift me out of this pit and show me the way, Lord. Pour out your heart to your God, asking Him to uncover the dark places in your life. As He does, record them in your journal. Be honest with yourself and with God. Read Psalm 40:1-3 each day and claim it as God’s promise to you. Mary’s book, Hope in the Midst of Depression, chronicles Mary’s journey from the pit of darkness into the light of God’s restoration. But it is more than that! It is a guide for living a life of victory. Check it out today! And be sure to connect with Mary on Facebook or through email.